Sometime last week, the idea was proposed by a coworker that we should all head to the Everglades, and rent a canoe, or something along those lines. I immediately said yes, even though I was chilling at home with my family and not even trying to think about anything that would happen after my arrival back in South Florida. I have wanted to go to the Everglades for a while now. It was a desire that had been on my radar for a while, along with things like going to Mallory Square in Key West and getting a puppy. Living in South Florida, I now don't have the excuse of distance preventing me from being able to go. So, without second thought, I agreed to the adventure. I admittedly didn't know much about the Everglades. 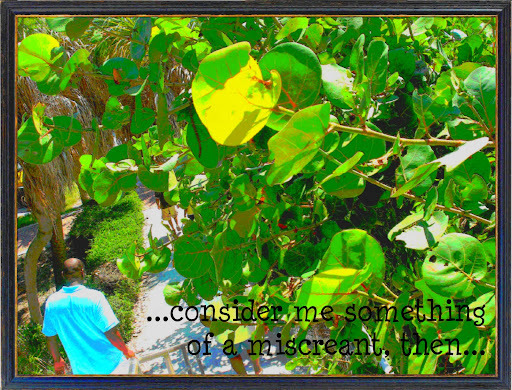 I knew about the forests of mangroves, and about all the water, but I formed my view of the Everglades based on what I'd imagined from stories like Their Eyes Were Watching God. I think in my head, my vision of the Everglades resembled a massive lake, with alligators close enough for you to touch (though you definitely wouldn't touch) and crooked trees covering most of the landscape. When we arrived yesterday at the mouth of the national park, I wasn't very impressed. 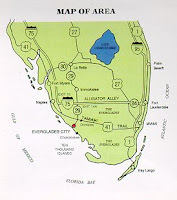 And that's probably because my expectations were formed based on my imagination (and because every square inch of the Everglades isn't necessarily similar). And you should know by now that my imagination is wild. When we arrived in Flamingo, we were told that we had the option of taking our canoes down the canal, or that we could head out in the bay, and head toward one of the many keys, where there was a little beach located. It was decided that we would head out in the bay. In fact, I don't think it kicked in until a while later that I was getting ready to paddle a canoe (having had no experience) into the vast, open water of the Everglades (you know, where all those animals from my imagination actually do live, even if you don't see them all at once). But, I had nothing to worry about. Though it had been cloudy on our drive through the park, when we arrived in Flamingo, the sun was out and shining on the water, giving it that pretty look of diamonds bobbing in the tide. The boat guy pulled the canoe onto the dock, and my coworker stepped in, and I held on for dear life as I stepped into the front of the canoe. When I heavily stepped into the boat, it hit me for the first time that I was sitting in a boat, on top of water, and that if it turned over, I was going into the water with it. Despite that second of panic, we were both in the canoe, and we started to paddle out into the bay.